This easy-to-apply, fast-drying lubricant instantly bonds to clean, dry surfaces, repelling dirt, salt, and reducing drag from air and water. Sailkote lasts significantly longer than Teflon additives, oil, or wax-based lubricants and is environmentally friendly, with no chlorofluorocarbons (CFCs), petroleum, or poison-emitting toxins. Use on mainsail tracks, hatches, sliding doors, sails, battens, telltales, slider cars and tracks. 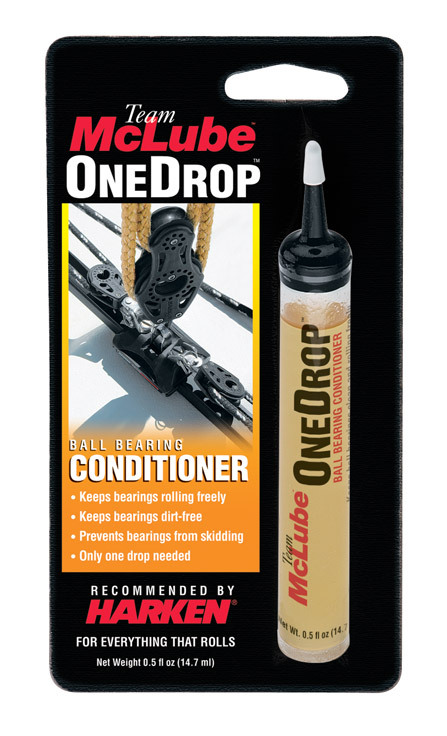 Only one drop of this new conditioner will repel salt, dirt and other deposits to protect, lubricate and condition the bearing surfaces. Reduced friction allows balls to roll freely and evenly, greatly improving block or traveler performance. This environmentally-friendly, citrus-based polish deep cleans and protects your hull so it's always in racing condition. Its long-lasting, high-gloss finish repels water to reduce drag for ultra-fast results. McLube Hullkote applies easily over other waxes and polishes and is safe to use on fiberglass, metal, plexiglass and painted surfaces. 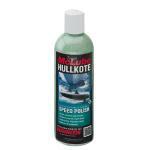 Hullkote lasts more than a season when applied above the waterline, and more than 20 hard days of sailing when applied below. 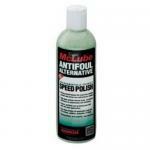 McLube’s Antifoul Alternative is a high-gloss polish that inhibits marine growth below the waterli..
McLube Hullkote Speed Polish - 16 oz. 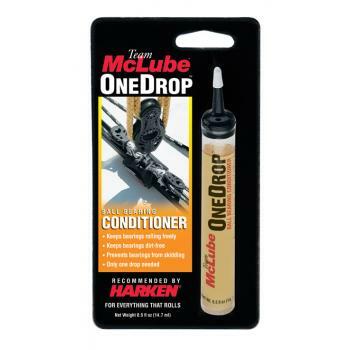 This environmentally-friendly, citrus-based polish deep cleans and protects your hull so it’s always..
Only one drop of this new conditioner will repel salt, dirt and other deposits to protect, lubrica..